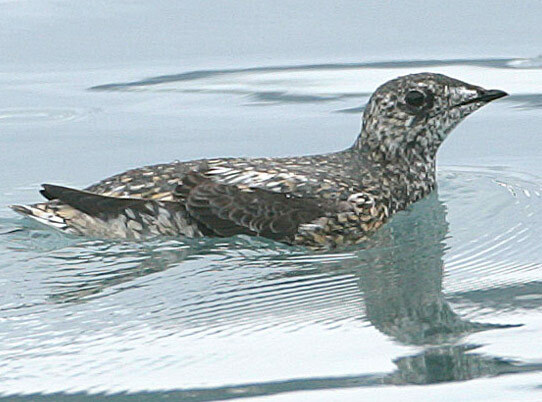 Kittlitz's Murrelet: Breeds on coasts of Bering Sea, Aleutians, and southeastern Alaska; also in Asia. 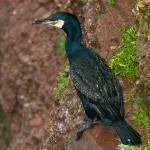 Nests on talus slopes of high mountains; winters on ocean waters and glacier bays. The Kittlitz's Murrelet is evaluated as Critically Endangered at this time. Over the last several years this bird species has experienced rapid population decline. There are a number of different threats facing Kittlitz's Murrelet. Only a few thousand individual birds are thought to remain within its native range. 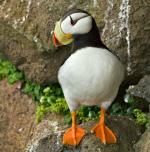 This bird was once primarily distributed in the area of the Bering Sea. For the most part, this bird is not known to winter. Without change in the range and population of Kittlitz's Murrelet, it is considered to be in grave danger.